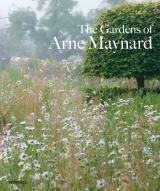 The Gardens of Arne Maynard is the first book devoted to the work of one of today’s most celebrated garden designers. Arne Maynard is known for his award-winning gardens in 2000 and 2012 at the Royal Horticultural Society’s Chelsea Flower Show, and for his elegant and sympathetic gardens for private houses worldwide. Central to his work is his ability to draw out the essence of a place – a talent that lends his gardens a particular sense of harmony and belonging. A passionate gardener himself, Maynard is in the process of transforming the garden around his house, Allt-y-bela, in rural Wales. This garden is featured in the book, offering insights into the work in progress and Maynard’s design methods. Also included is Maynard’s very first garden of his own, at Guanock House in Lincolnshire, where he spent 10 years creating from a flat field a formal layout, with a kitchen garden, knot garden and herbaceous borders. A total of 12 gardens have been specially photographed, and each is described through the seasons in personal text by Maynard, including details of the brief and the plant selection. The Gardens of Arne Maynard is completed by illustrated features on various topics close to the designer’s heart, such as growing and using roses, planting borders, creating productive kitchen gardens, incorporating sculpture in the garden, and training trees and shrubs. Rosie Atkins is the founder and former Editor of Gardens Illustrated magazine, and was subsequently Curator of the Chelsea Physic Garden in London. Arne Maynard is an internationally renowned garden designer. In the last 25 years he has created some 200 gardens all over the world, including two award-winners at the RHS Chelsea Flower Show. The projects are full of inspiration, and the images will remain with you long after you have closed the book. You know this is going to be a beautiful book as soon as you open it … a fascinating insight into [Maynard's] design process … every turn of the page is a delight. A handsome, weighty and engaging volume. Details of [Maynard's] design methods and plant selections, as well as atmospheric photography by his partner William Collinson, show how Arne creates the harmonious, soulful gardens he is known for. Arne Maynard's beautiful gardens in print. The writing is clear and concise and the judgement sound, for Arne is a passionate gardener with an adventurous spirit. The excellent photographs … showcase the gardens and feature Arne’s favourite plants. It is rare to find a book about gardens written as well as it is illustrated, or vice versa. This is an exception – the writing is informative and inspiring; the photographs … evoke mood and atmosphere, illustrate beauty and structure, and exemplify detail. One of those books filled with pictures of gardens so timelessly romantic, you have to fight the desire to go outside, dig up your grubby patch and start again. An indulgent combination of glorious photography and inspiring text … [Maynard's] enthusiasm for both the art and the craft of gardening illuminates every page of this inspiring book. It really is a wonderfully produced book with illustration and text of the highest standard. This is a lovely read and I know I will dip into it often for inspiration. Rather than sate my desire to visit one of [Maynard's] gardens, it has instead left me even more wanting to see one for real … A sign of a very good book, don’t you think? A joy for anyone who has a passion for gardens.